Halloween time is almost here. 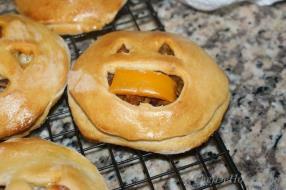 Last year, during Halloween, I sold a big batch of Jack-o-Lantern Pockets in a bake sale. They were so hit- kids were 'goblin' it up ..